Release Burnup is useful in Scrum as it allow the user to identify issues like a deviation from the planned project path. The chart shows the team’s progress towards achieving the release goal by identifying how much work the team has burnt up. 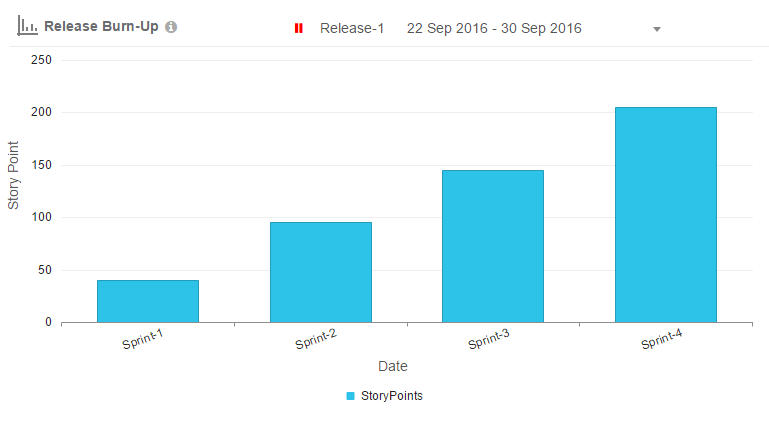 Burnup charts can show the effect of scope changes with greater clarity than burndown charts can - they can also be stacked to show changes from one sprint to the next. The horizontal axis of the release burn-up chart shows the Sprints in a release, while the vertical axis shows the amount of work completed at the end of each Sprint (typically representing cumulative story points of work completed).